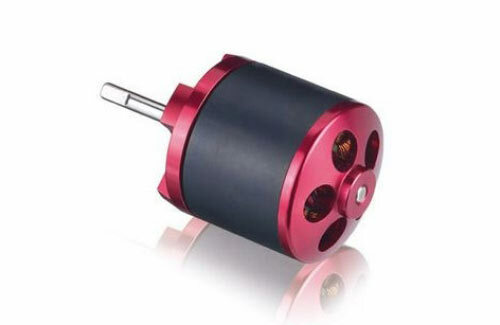 Factory Approved INNOVATOR Spare parts : Expert 3D 3800KV Brushless Motor. Thunder Tiger's brushless ESC's are suitable to be used with their OBL 29 series brushless motors. Programmable brake and over temperature protection phased in. Thunder Tiger introduces their speed controls for brushless motors. 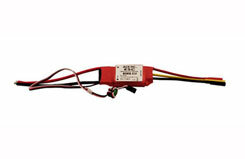 Capable of supplying up to 65 Amps of continuous motor current. Small and lightweight, with a large heat sink surface area. 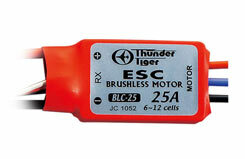 Perfect for the Thunder Tiger OBL series brushless motors. And for safety consideration. There are built-in safety features to prevent accidental motor start-up when powering on. 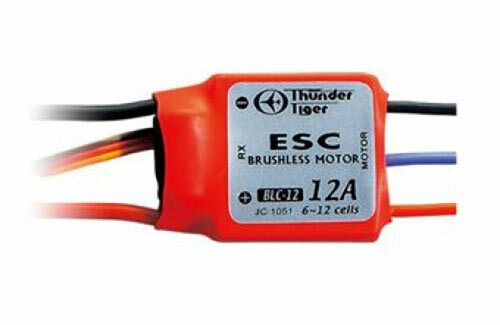 Thunder Tiger introduces 8050 VELOCI RS speed control (For brushed motor only), the durable and reliable speed control for most RC car demands. 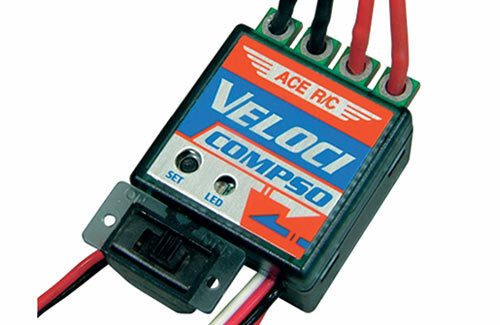 It's the budget tip for replacing your entrance ECS with this intermediate speed control to suit sport racers. With well-tuned factory programming and smooth power delivery set-up, the VELOCI RS represents optimum in terms of quality, reliability and reasonable budget in both on-road or off road application. 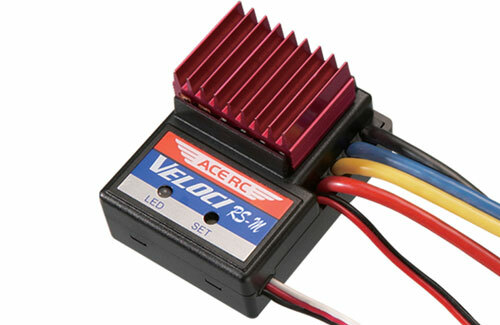 The VELOCI RS also comes with protections against overheating and short circuit. 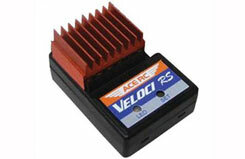 The VELOCI RS is with fully proportional forward and reverse gears plus real-time braking. Two operation modes for your choices, reverse mode for fun or switch off mode for racing. Now just plug in and drive away! • Fail safe against interference, empty transmitter battery or model outside the radio range. • Fully proportional forward and reverse control, with real time braking. 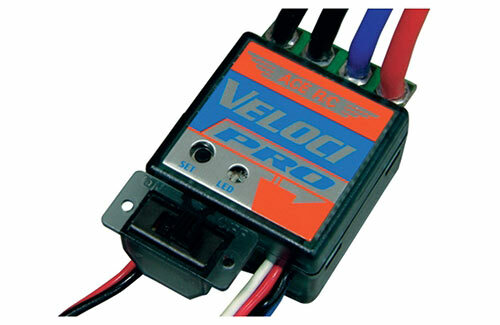 The 8051 VELCI RS-M speed control of marine series supplies continuously forward and reverse power to full throttle for your precision manoeuvring and docking. ACE RC BLC series brushless ESC is an affordable, high performance and efficient brushless ESC offering most 1/10 scale and 1/18 scale drivers the most convenient way to upgrade their car to brushless. All series ESC are available in either stand-alone or in combos wit extreme power brushless, sensor-less motor for immediate, " plug and play " use. 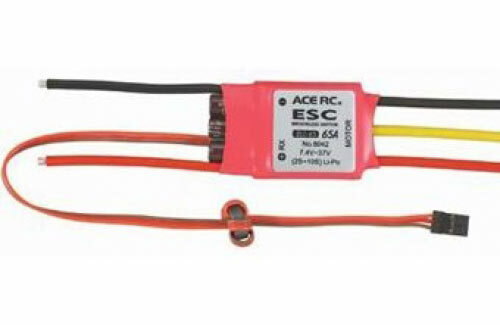 • The perfect current capacity for long time flying. • Provides extremely high torque and high temperature rating. • The most mechanical design for cooling. • Light weight with the best performance. 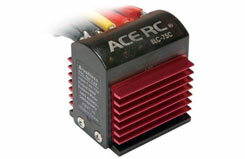 We are glad to introduce new brushless motor controller. Each of these brushless speed controllers can be used with our Ripper line of brushless motors. 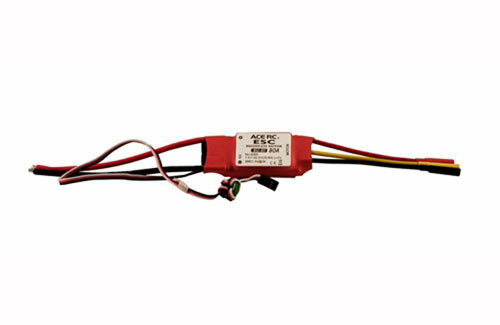 The electric speed controller up to 80A enables use for most any applications you may need. Each comes with built-in programming so that you may modify to your specific application.